Combine cherries, sugar, lemon, and tapioca into a large saucepan and heat at medium heat until mixture thickens, about ten minutes. 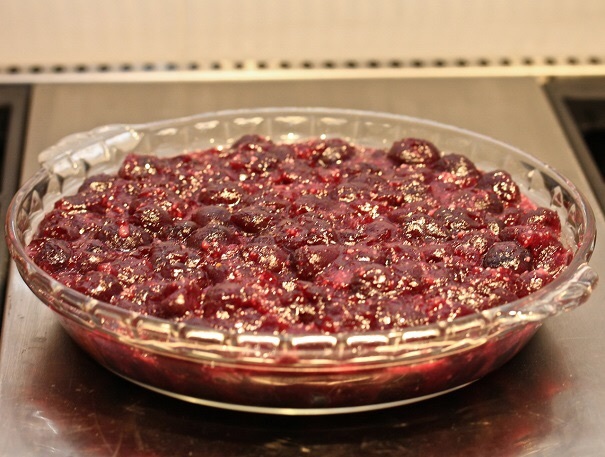 Pour cherry filling into a pie pan. Add flour and salt and combine but do not overmix. Dough will seem too wet, but place dough on a piece of plastic wrap and chill for several hours. 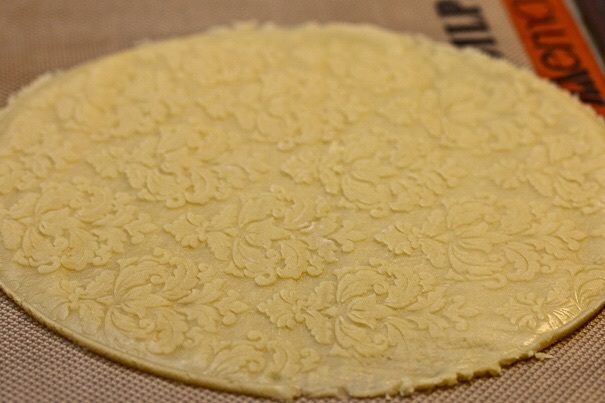 Roll the dough out onto a baking mat. Using the etched rolling pin, press down hard to push pattern into dough. 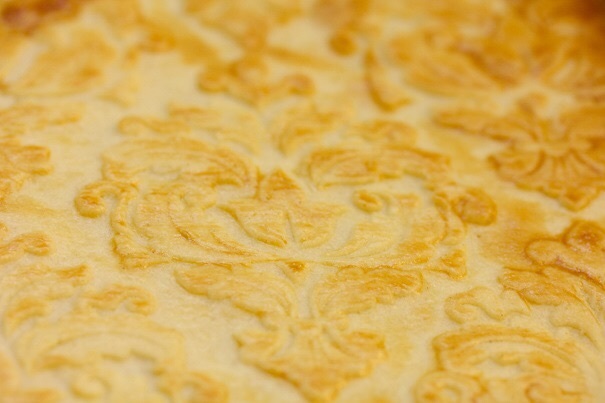 Put etched dough into freezer for another 15 minutes, after pressing the pattern into the dough. When it is frozen, place the baking mat with the dough on to a baking sheet and brush lightly with eggwash of milk and egg. When the dough is nicely browned, remove from oven and allow to cool. Carefully lift cookie from baking mat and place on top of the cherry mixture. This looks absolutely splendid. 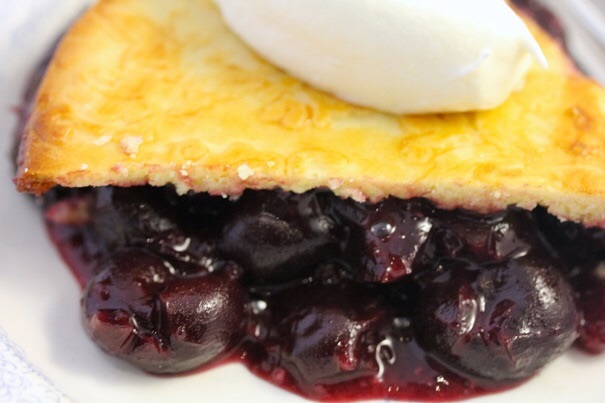 I’m going to go buy some cherries right now and make this when I get home. Sadly however; I don’t have an etched rolling pin. Ugh!! You don’t need the rolling pin anyway – it’s just as good without it!